If you don't have a maintenance fund in your budget, perhaps it's time you started one. Many people strive to reign in their spending, but in your quest to save money, don't forget that sometimes by spending money now, you will avoid spending a big fortune later. If you have a leak, and you're thinking that a bucket in your bedroom doesn't really mess up the décor all that much, consider that the national average cost to repair a roof is $550, according to HomeAdvisor.com. 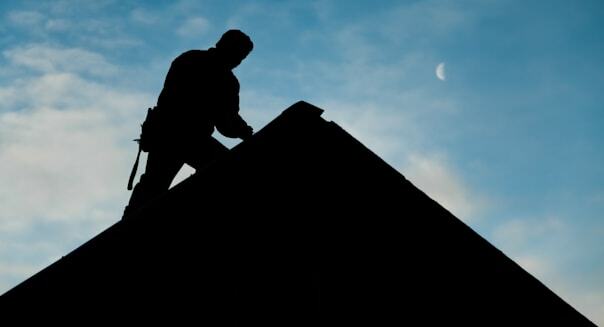 But the national average cost to put in a new roof is $6,000. That hole isn't going to get any smaller, and it may get bigger. If it does, you won't just have to deal the roof, says home improvement expert Danny Lipford, host of "Today's Homeowner," a nationally syndicated TV and radio show. "If you're allowing water, even a small amount, to enter your attic, it's entering a hot, moist environment, which is exactly the kind of environment that mold likes," says Lipford, who also runs the home-improvement website TodaysHomeowner.com. That means you might end up spending money to repair the drywall in your ceiling and paint where the stain was. Lipford also advises everyone to remember the gutters around the roof. It may not be a fun expense, fixing something that you can't see without a tall ladder, but "if you neglect your gutters, the water can dam up," Lipford says. That can not only lead to roof issues, but damage to walls and your home's foundation as well. You may just want to have the next several months' paychecks mailed directly to your home contractor. If you see evidence of termites, you're almost guaranteed to have to spend money, and you're probably going to be far better off opening your wallet now versus waiting in hopes that the termites go away. "Several years ago, the Environmental Protection Agency estimated the average cost for repairs from termite infestations was $2,500," says Missy Henriksen, vice president of public affairs for the National Pest Management Association. She adds that she knows of some homeowners, however, who have spent tens of thousands of dollars to repair the damage. Most inspections cost a few hundred dollars, according to Henriksen, but some pest management companies offer them for free. If you catch a termite problem early, you should probably budget between $1,000 to $3,000, Henriksen says, based on anecdotal information. If your desktop or laptop isn't the young, spry piece of equipment it once was, you may be budgeting hundreds or thousands for a new computer. But before you pop for a new one, you may want to add some memory to your computer first. It could buy you a few years by speeding up your computer, and may only set you back $30 and $60, according to various websites. "Think of computer memory like your desk," says Ed Walker, marketing manager for Crucial.com, which sells computer memory. "Having more memory is like having a bigger desk, and allows you the space to work on more projects at once. The larger the desk, the more papers, folders and tasks you can have out at once." Your garage should be fairly maintenance-free from a financial standpoint, unless one day you realize you need to hire a professional organizer to clean up what has become a magnet for your garbage and odds and ends (expect to pay between $30 and $80 an hour, according to CostHelper.com). Pay special attention to your car inside or outside your garage, and the driveway leading up to it. Your car is an easy target, but certainly if you have a problem that you want to put off, you'll likely pay dearly for it later. For instance, if you know you need new brake pads but keep driving without buying new ones, the caliper piston will begin to grind away. Eventually, the rotors start to disintegrate. Keep driving and ignoring the brakes, and eventually, you're buying a new car and tending to a lot of medical bills due to your crash. A standard replacement of brake pads will likely run you between $75 and $100, according to CarsDirect.com. Lipford says trees and shrubs shouldn't be touching your house. The shrubs should be at least 12 inches away, to help with air circulation around the house and to keep mold from growing inside your walls. The trees, Lipford says, can prevent all that and damage your home. "They may look perfectly innocent sitting there, but when they get saturated with rain water, and there's a lot of wind, the heavy hand of the limbs can rake away years off your shingles' life," Lipford says, adding that trees scraping the house can also lead to leaking. But, wait: There's more. Those trees can also create an entryway for raccoons and possums to climb on your roof, and you don't want that. "Squirrels particularly do a lot of damage, but we have found many raccoons and possums inside attics, and people have absolutely no idea that they've gotten inside their home," Lipford says. "They're great athletes, and they can chew a small, little hole and go into your attic without your knowing. Many times, they'll have a litter of babies in your attic, and then you're looking at a real calamity." Then, on top of that $6,000 roof, you're looking at an average national cost of $256 (again, from HomeAdvisor.com) to hire someone from animal control to remove your unwanted guests. If you hire a tree trimmer, that'll probably run you, on average, $600. Either way, hopefully you've been making regular contributions to your maintenance fund.